Great teams get great results with Asana. Add Tick time tracking to your workflow to help your team keep your Asana projects on time and on budget. 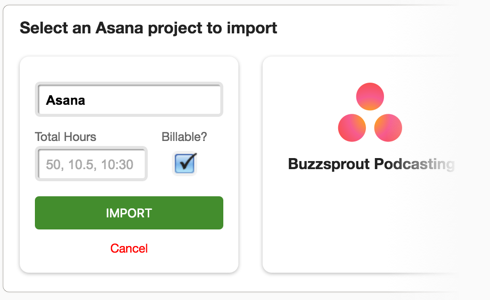 Import your Asana projects into Tick with just a few clicks. Then assign projects, add budgets, and import tasks to gain all of Tick's time tracking and budget feedback features. 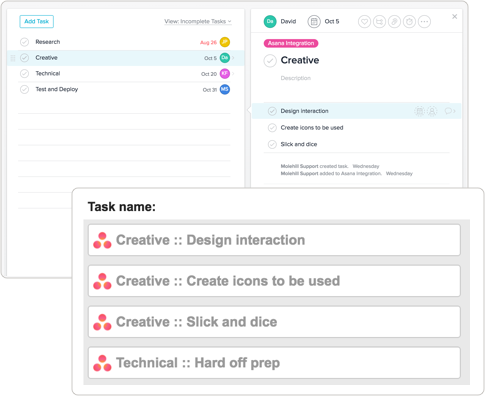 Bring Asana task and sub-tasks into Tick automatically. Each night Tick will make sure that it has all of your Asana tasks so that your team can track their time directly to the task they are working on. Tick never charges you more for additional users. 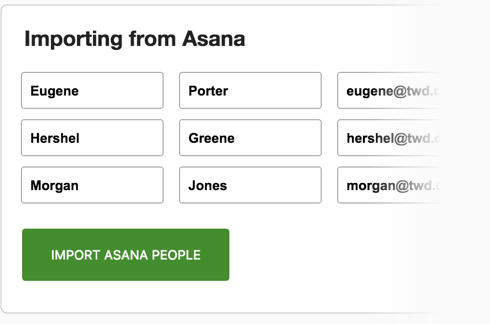 That way you can bring your entire Asana team into Tick with our quick import tool. Get everybody on board start running more profitable projects today.